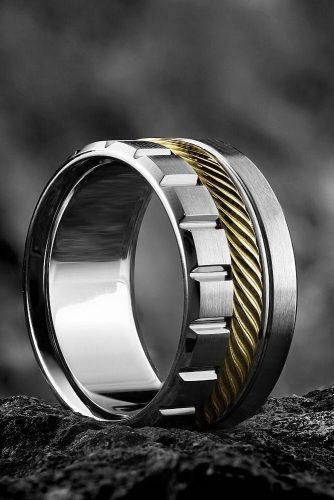 Choosing mens wedding bands isn’t so simple – wedding band for man should fit his personality & budget. 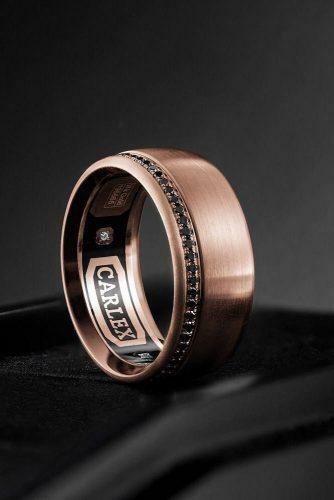 But a wedding band isn’t just a piece of jewelry. 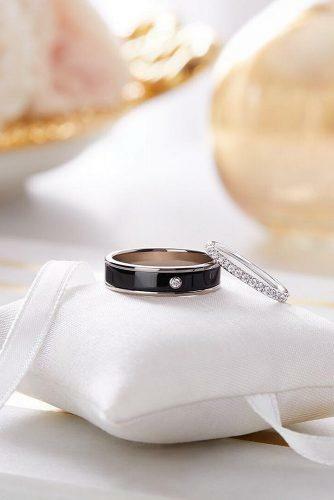 It’s a symbol of love and commitment to each other. 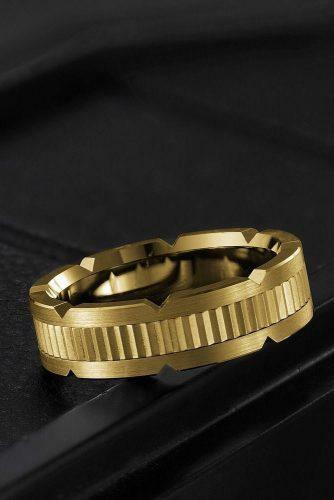 So that’s why the ring should be unique. 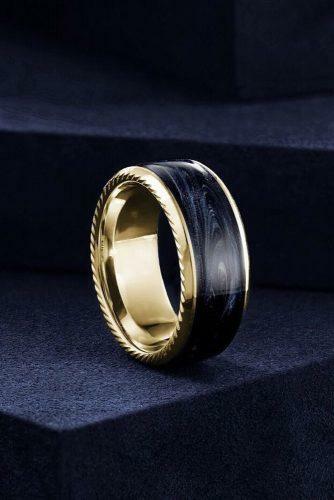 And there are so many ring types and styles. 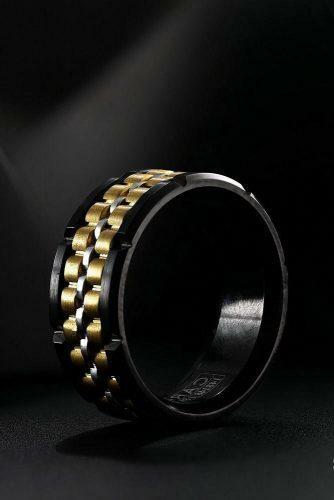 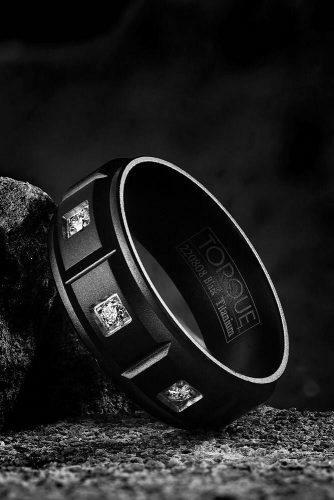 You can choose from tungsten, gold, unique, two-tone and many others. 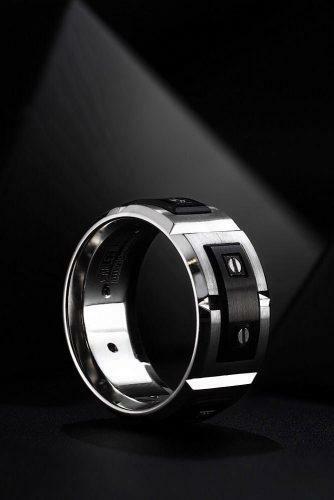 Tungsten carbide has a scratch-resistant surface. 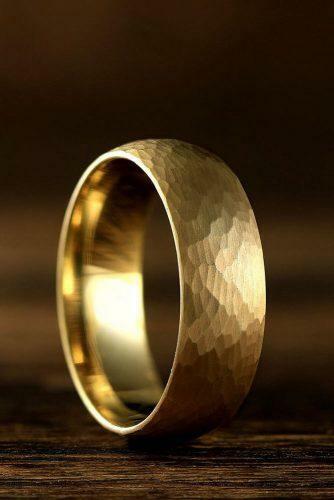 Gold is a classic choice for guys’ rings. 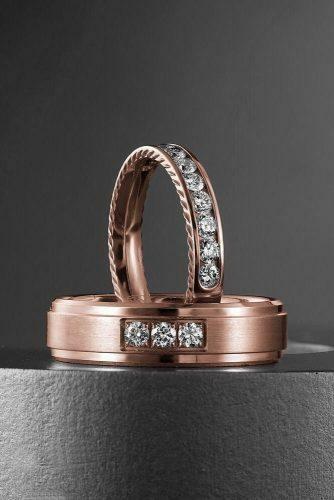 Also, you should take a look at unique two-tone rings. 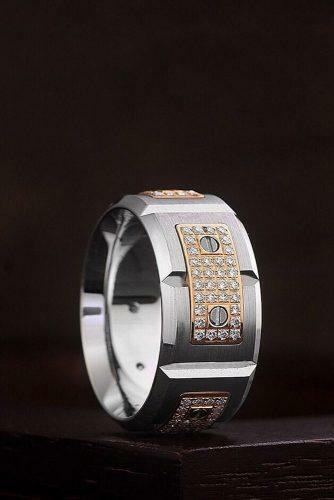 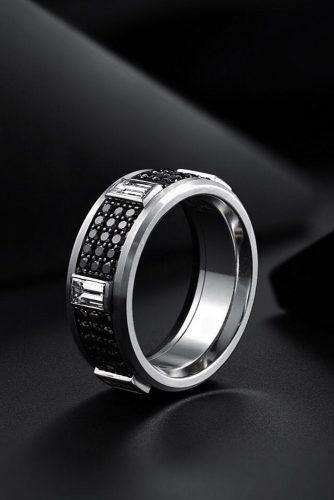 Or choose a stylish band with black diamonds. 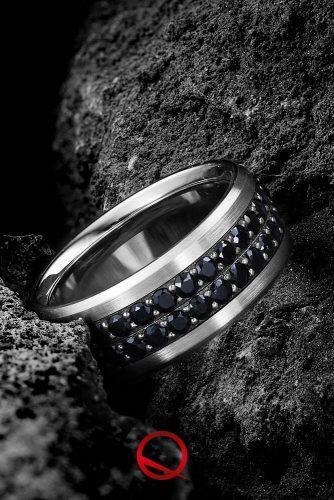 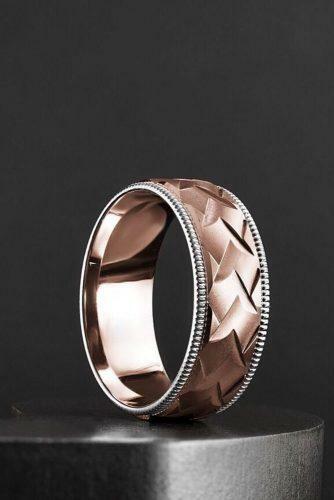 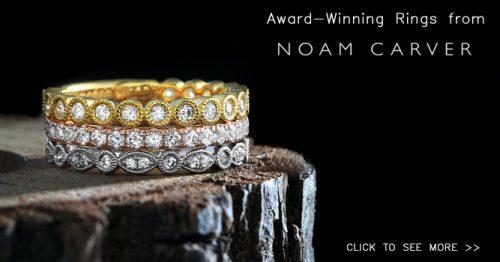 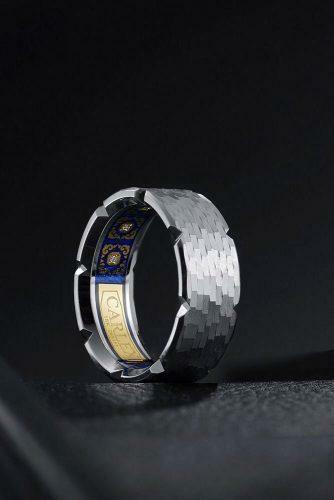 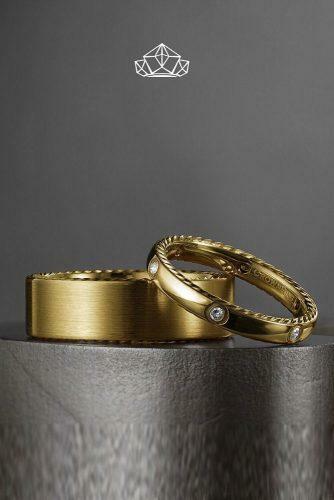 Your choice depends on your style – many jewelers have a huge list of cool men’s wedding band ideas. 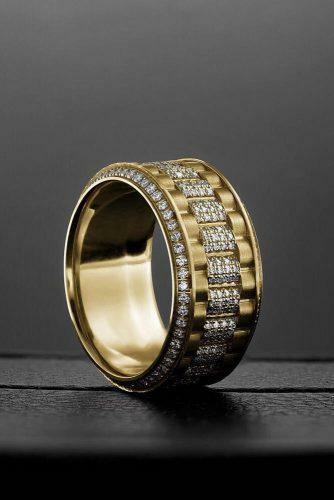 So, special for you, we’ve collected the most stylish wedding bands for men. 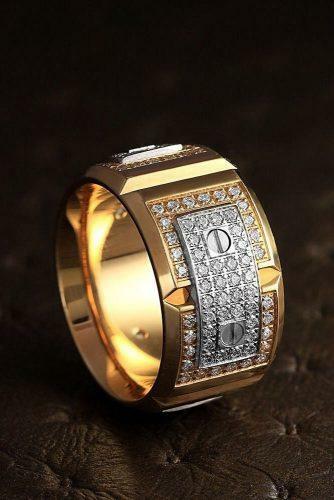 Read the post and get the inspiration!